We’ve all imagined that worst case scenario playing out in our living room. The family is gathered around on a stormy night, watching a scary movie, when a flash of lightning illuminates the sky. There is a loud BOOM, and the television bursts into flames right there in front of our eyes. Or maybe your nightmare plays out in your home office, and right before you save the project that you’ve spent the last three months tweaking, the lights flicker and your project says “bye bye” as the power goes out. We tend to take our surge protectors for granted. You don’t really pay attention to them when they are doing their job. But the minute they fail, we notice them immediately. So what can we do to protect ourselves and our electronics in the event that we have a power surge? Let’s start by finding out what surge protectors do. It’s a pretty simple construct. Certain factors, from lightning strikes to the local power company switching grids, can cause excess power to come into your home through your power lines. 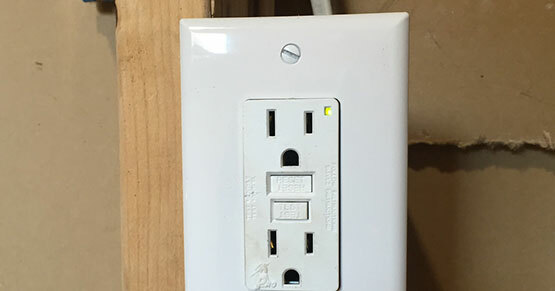 This surge is then passed on to any device connected to the outlet through which the power is passing. Each device has a threshold for energy intake, and when that threshold is exceeded, the equipment simply can’t take it. Sometimes it just trips a breaker. Sometimes it just causes the lights to flicker. Sometimes your device explodes before your eyes, and sadness ensues. Of course we think of the extreme “extinction level events” when the thought of surge protection comes to mind, but even the times when the hairdryer starts and the light flickers can indicate a surge. While the damage isn’t as immediate or catastrophic, even these small surges will damage devices over time. That’s why choosing the right surge protector is so important. So what do we need to look for when buying a surge protector? There are some power strips that have surge protection built in, but not every power strip has surge protection capacity. Make sure you are checking the function before making your purchase. Otherwise you’ve just purchased a very long outlet, no different from the one you’re connecting to in the wall. Long story short- the higher the joules, the more protection. For most computer setups, a surge protector with at least 1k joules is recommended. Clamping Voltage basically lets you know when your surge protection is going to kick in. The lower the better. If your protection clamping voltage is too high there might already be damage done to your equipment before the surge protection is activated. Lower clamping voltage equates to a higher price tag. But it could be worth the extra expense if you want to protect your valuable electronics. Response time is always crucial in times of emergency. Surge protection is no different. You want a system that can react in 1 nanosecond or less. Most quality surge protectors come with a warranty for all of your devices. Make sure you get one that has a decent amount of protection, just in case it fails. There are some battery backup protectors with a UPS that will completely remove your devices from the power grid when activated. These can be expensive, but if you are going to be protecting a computer with sensitive information on it, they merit consideration. Sometimes it’s just best to protect your whole house at once. Many new construction homes have total house surge protection built in. It can be expensive to retro-fit your entire home, but if you are getting your home upgraded from old wiring, it can be a perfect time to look into protecting your electronics with total home surge protection. Not sure which level of surge protection is right for you? Could you benefit from outlet testing to determine the condition of your power? 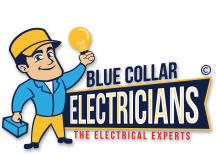 Blue Collar Electricians can help. Contact our electrical experts today and let us know how we can serve you.